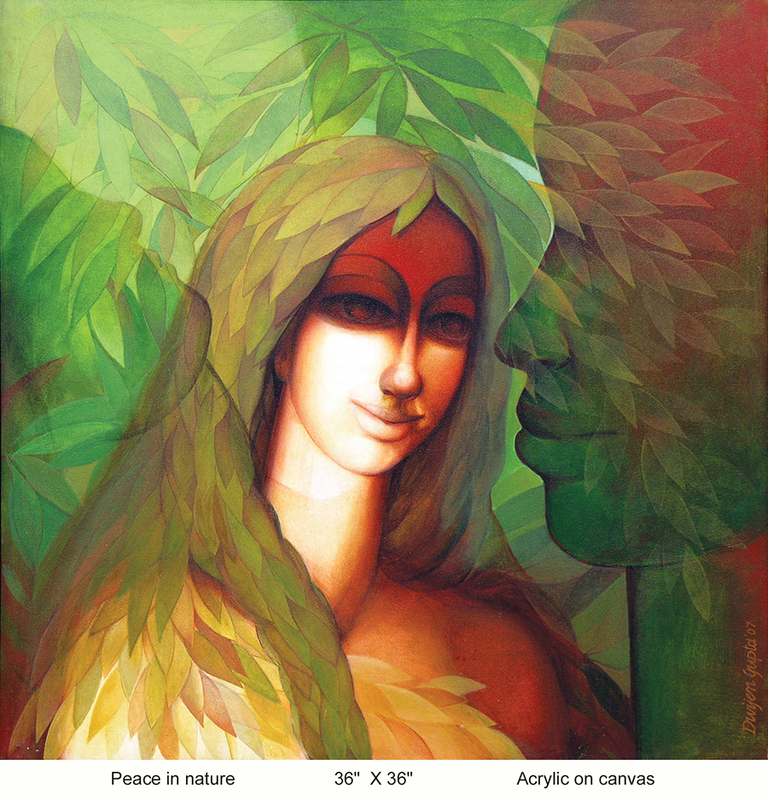 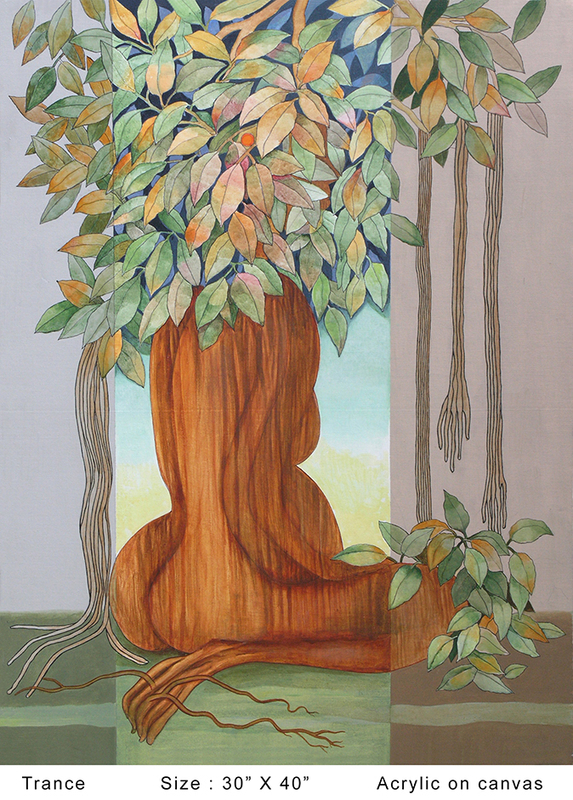 “Unification of woman with nature” is the basic trait of Dwijen‟s world-outlook. 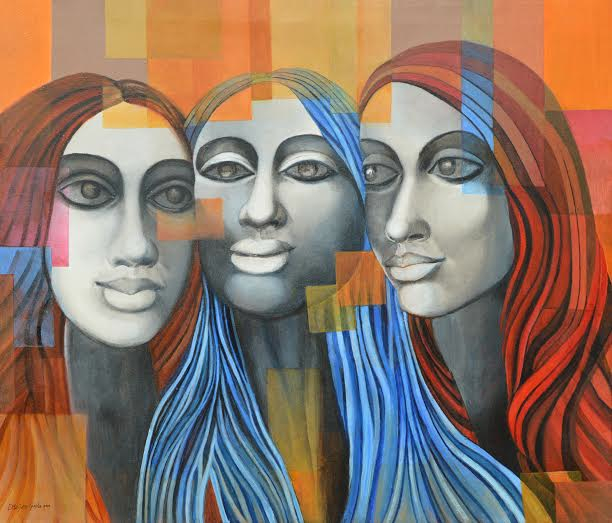 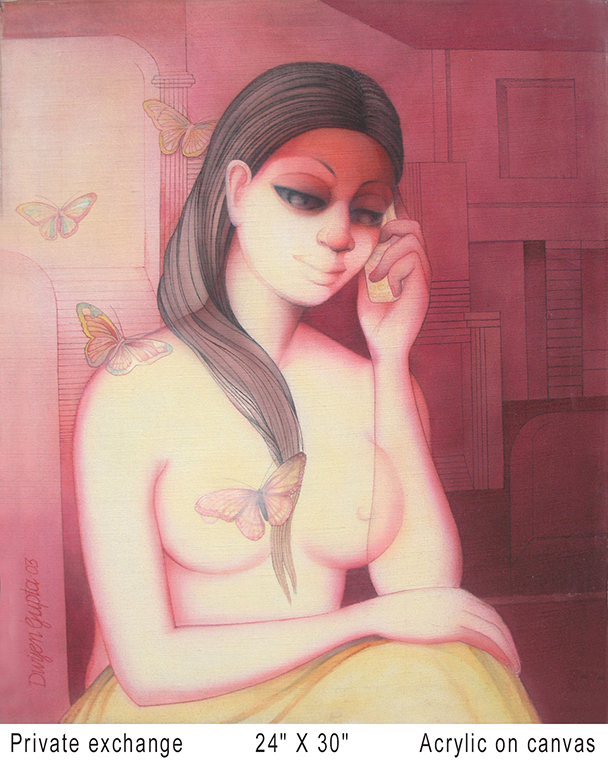 Through his deft artistry, Artist Dwijen Gupta forces the viewer to deliberate on his female-centric compositions. 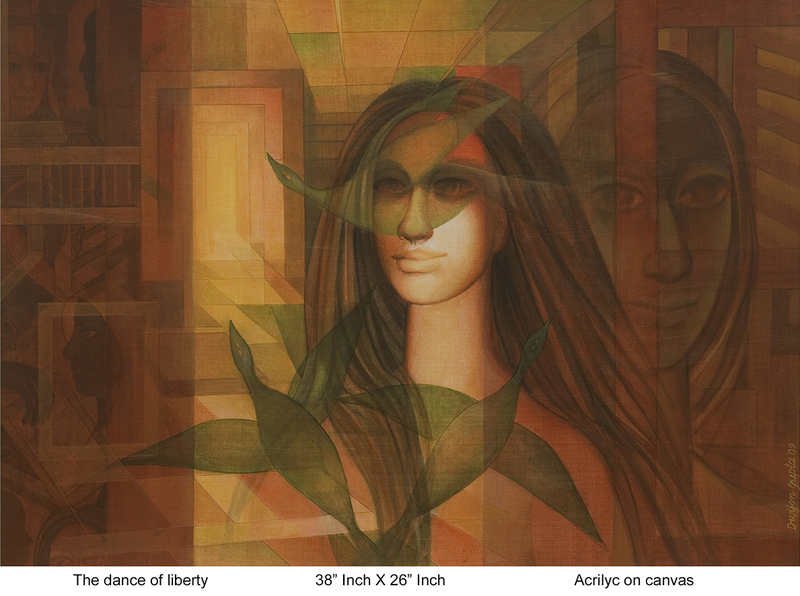 The strong “Indian‟ feel is inflected through an active interplay of facial features as well as postures and gestures enhancing the mood of his frames. 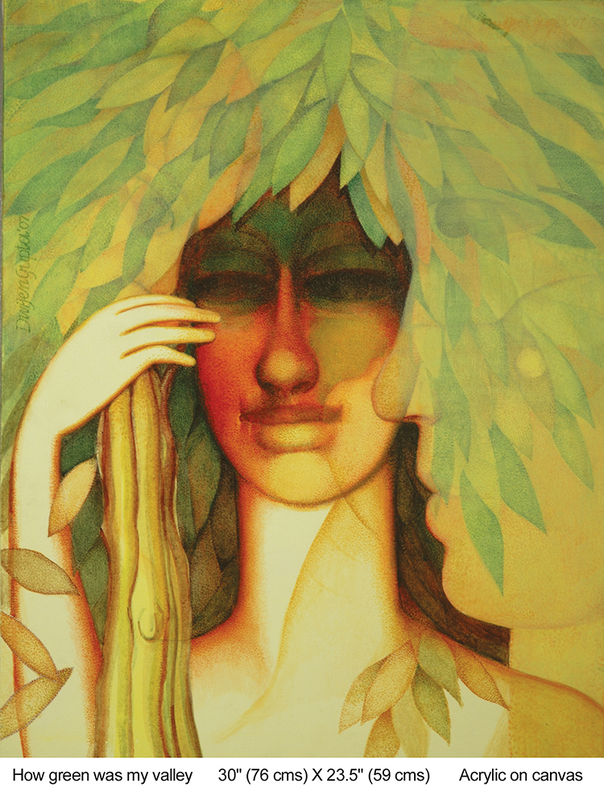 What attracts one’s attention is the simplicity of his women. 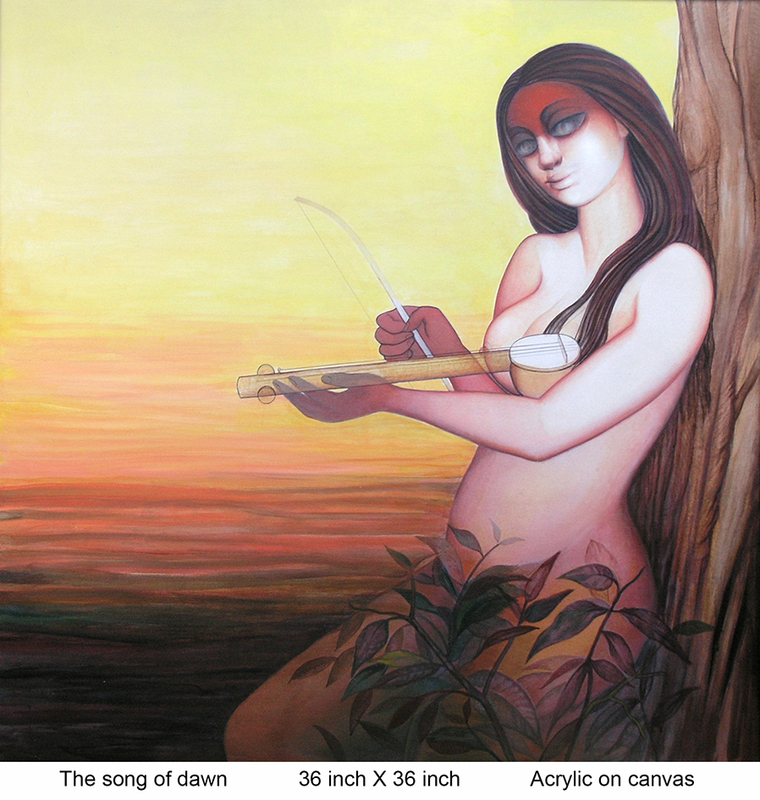 Not surprisingly his “women‟ seem to be cast in a timeless capsule where her position seems defined either as a mendicant, singer, musician or a devotee far removed from this world, introspecting on the act at hand, singing or making music. 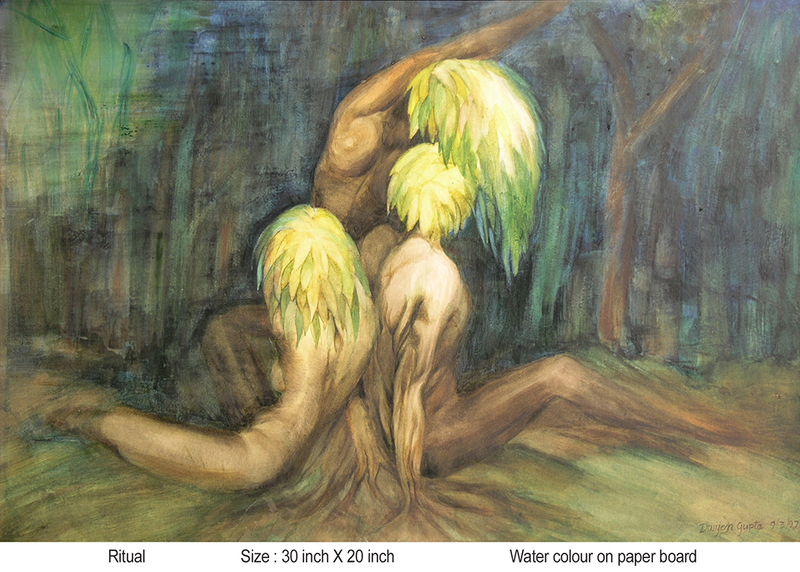 The figurative compositions elaborated in water colour and mixed media; express the unheeded, unspoken and unsung” as viewed by critics. 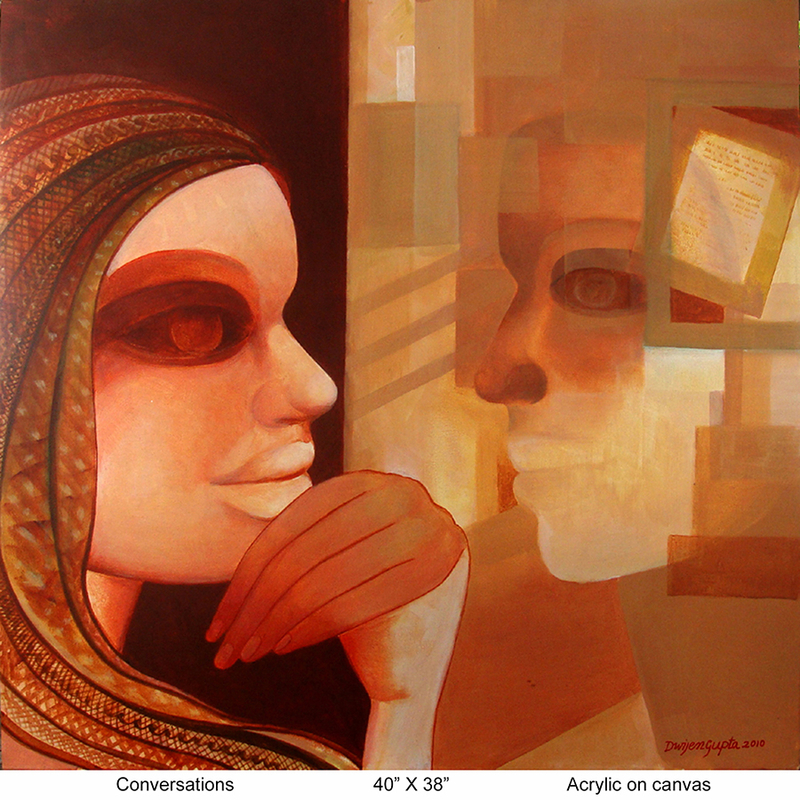 His latest collection of artworks is titled “Abstraction of Poetical Tunes”.